2015 CHEVROLET EQUINOX Printer Friendly Flyer. 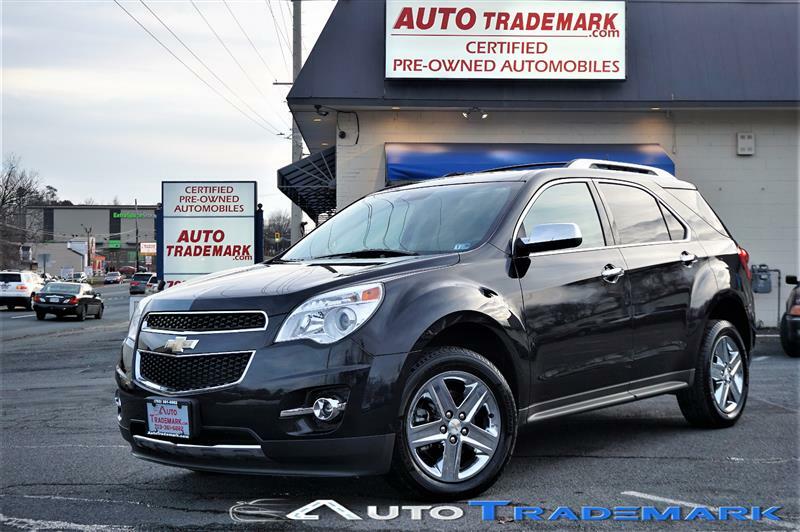 LTZ Only 39 K Miles, 2015 Chevy Equinox SUV, Black Granite Metallic w Brownstone/Jet Black Interior, Loaded with Lane Departure Warning, Navigation System, Forward Collision Warning, ABS Brakes, Air Conditioning, Alloy Wheels, AM/FM Stereo, Automatic Transmission, Auxiliary Audio Input, Bluetooth, CD Audio, Cruise Control, Front Seat Heaters, Full Roof Rack, Leather Seats, Memory Seat(s), Overhead Airbags, Parking Sensors, Pioneer Sound System, Power Liftgate/DeckLid, Power Locks, Power Mirrors, Power Seat(s), Power Windows, Rear Defroster, Rear View Camera, Remote Start, Satellite Radio Ready, Side Airbags, Sunroof(s), Traction Control, Financing And Extended Service Plans Available. Safety equipment includes dual-threshold front airbags, curtain side airbags, front side airbags, tire-pressure monitor, anti-lock brakes with brake assist, hill start assist, traction control, and GM's StabiliTrak electronic stability control. All-wheel drive enhances stability in slippery conditions.